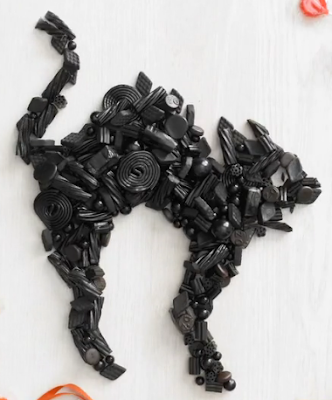 The Crafts Department showed off some of the fun that you can have with the newest episode of Living if you happen to have an iPad. I have to say that reading magazines on the iPad is pretty darn cool. Not that I get to do it very often because my husband usually has a death grip on it. But publishers like to add a lot of fun little extras. You can check out what I am talking about HERE. But iPad or not, this idea from Martha is actually really low tech. 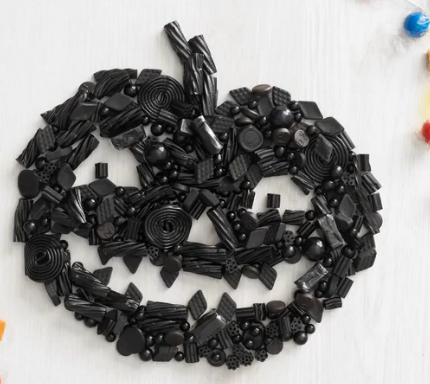 Of course they made these gorgeous Halloween characters with all black licorice, but why not get your kiddos to pick out all of the candy that isn't their favorite and use it to make some artwork. More fun, less cavities. 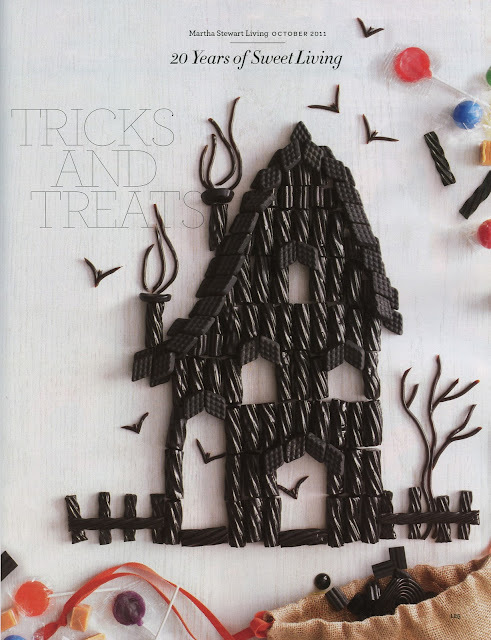 And a great Halloween activity during a party too.